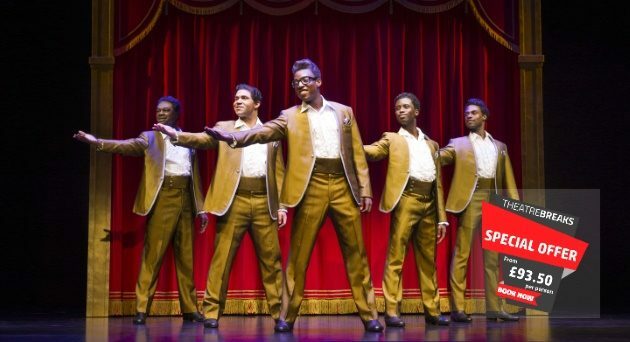 The Tony Award nominated Broadway hit, Motown the Musical, has come to the West End and the critics are going wild. With over 50 Motown hits performed live on stage, guests are already enjoying Motown Theatre Breaks. Now booking to November 2019! This explosive new musical follows the the unlikely success story of Detroit born Berry Gordy who dropped out of high school early with a desire to get rich quick as a boxer. After that failed he enlisted in the US army to fight in Korean and upon leaving the military became involved in the local Detroit music scene which at that time was predominantly jazz. After a meeting with singer Jackie Wilson, who released “Reet Petite” in 1957 which was co-written by Gordy & his sister Gwen, he borrowed $800 from his family to set up a record label. The list of artists signed to Gordy’s label reads as a Who’s Who in the American entertainment industry with acts such as The Miracles, Mary Wells, Smokey Robinson, The Supremes, Marvin Gaye and Michael Jackson. Featuring an incredible selection of Motown’s including Dancing In The Street, Ain’t No Mountain High Enough, and I Heard It Through The Grapevine Motown The Musical is simply not to be missed. 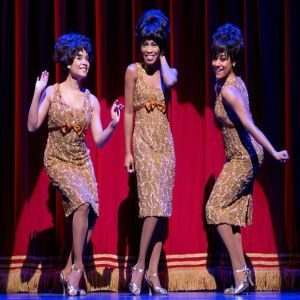 Book Motown Theatre Breaks at the Shaftesbury Theatre, London. A theatre and hotel package for Motown, with nearby hotels. the 4 star deluxe Radisson Edwardian Blu Mercer Street. the 4 star Red Carnation Montague Hotel (which has consistently featured at the top of Tripadvisor charts for its excellent standard of service and presentation). The visit was a special weekend to celebrate my wife’s 60th birthday. The Motown show was very good even though the music isn’t entirely to our taste – we are rockers at heart – but the story line was good although we were surprised by the repeated use of the word ‘n****r’ – not at all offensive but surprisingly repeated. The venue is excellent and our seats exceptional - we’ve only got little legs !!! Our only concern about the show was the statement to NOT SING until encouraged to do so which wasn’t until well in to the second half of the show – we can’t think of a musical where joining in with the singing is not encouraged ? The hotel – Corus Hyde Park – is in a superb location and exploring the Paddington Basin, areas of both West and Central London was easy and enjoyable. The hotel itself was excellent, the breakfasts superb and we ate a three course meal there on our last night which was also excellent. The hotel staff were very polite and helpful and gave us a little extra attention when at the bar area with our family on my wife’s actual birthday on Saturday – our only criticism was the room size which was very cramped for space. We paid a little extra to change from a twin to double room and, whilst we would gladly stay at the hotel again, a bigger room would be required. Bottom line – we feel the price we paid for the booking we had was good value for money. Your staff prior to the stay were also very good and helpful.